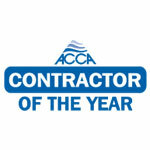 Oliver Heating & Cooling has been recognized as the 2018 ACCA National Residential Contractor of the Year! ACCA (Air Conditioning Contractors of America) is the only nationwide organization of, by, and for the small businesses that design, install and maintain indoor environment and building performance systems. Read Press Release. proven our ability to deliver success and victory on the battlefield. Recognition for achieving and maintaining a superior service rating on Angie’s List as determined by Angie’s List members. Awards are presented to less than 5% of service companies nationwide. Oliver has been recognized in the Heating & Cooling, Duct Cleaning, Plumbing, and Water Heater categories. Recognition for being an independent Trane dealer of the highest standing, which means we are known for our commitment to excellence in every aspect of business (installation, service, customer satisfaction, and employee training). Independent dealers qualify for this status on a yearly basis by meeting Trane’s standards for customer satisfaction and continuing education. Recognition for outstanding service and dedication to the Delaware County Community. A once-in-a-lifetime award that we are very proud to display in our office. 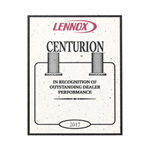 Recognition for a commitment to excellence in many areas including technical proficiency, customer satisfaction, sales growth, and professionalism. Recognition for our strong history and commitment to the best customer service we can offer. This award is presented to companies that receive almost exclusively positive reviews based on the feedback of more than 100 customers.